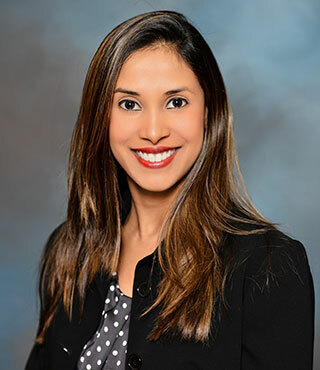 Sharda Sharma focuses her practice on immigration, including but not limited to family-based immigration (becoming a Green Card holder through a family member by consular processing or adjustment of status), citizenship and naturalization, Deferred Action for Childhood Arrivals (DACA), Temporary Protected Status (TPS), U Visa, and B1/B2 Visa. Prior to joining the firm, Sharda was Legal Counsel / Consultant for a private state tax consulting firm where she was lead counsel in all the firm’s in-house legal matters. She was also actively involved in defending clients throughout the audit process, reducing audit assessments, reviewing for tax refunds, and researching various sales and use tax issues. She also worked at BakerHostetler representing a Fortune 500 company with respect to its nationwide medical office lease portfolio and related real estate transactions. In addition, she performed forensic analysis with a private CPA firm, including tracing of assets and liabilities and business valuation. Sharda received her B.B.A. in Accounting with a Minor in Spanish and her J.D. from the University of Houston. She is licensed by the Supreme Court of Texas and the Texas State Board of Public Accountancy.